– The biggest city of Masuria region and the only piece of bigger urbanization in the area. It’s important tourism center and very good base camp for journeys around the Land of the great lakes. If you don’t want to completely leave the civilization but to marvel a piece of famous Masuria district, Olsztyn will be the best place to stay. – One of the most famous and popular towns of Masuria region, thank to Country Music Festival which take place there every year. 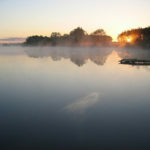 It is placed on the shore of Czos Lake in the middle of Masuria. This is a small town, with population of about 25 thousand inhabitants, but it contains a lot of attraction. – Small, perfectly situated town, which is dreamed place for those who want to cut themselves off civilization for a while. Situated near the border with Russia Kaliningrad Oblast, surrounded by Masuria lakes, including Mamry, second biggest lake in Poland. Town has one of the best preserved 14th century Teutonic Order’s castle. It’s also famous of organized every year since 1991 rock music festivals, which hosted the greatest rock and heavy metal stars from all over the World. – Idyllic town Augustow was often an inspiration for poets and musicians. Famous pier is ideal place for romantic strolls. If you heard about Augustow before and you’d like to feel the unique atmosphere of this town, don’t think twice. The town is also one of the favorite places of all water sports maniacs. – The capital of Podlaskie region and the biggest city among all above. It is placed near the borders with Belarus and Lithuania so from the centuries it was a settlement of people representing different cultures and religions. Today Bialystok has almost 300 thousand inhabitants and it’s one of the fastest developing cities in Poland. 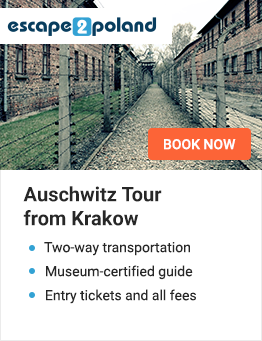 – The first in Poland and one of the firsts in Europe. Park takes care over the best preserved part of Bialowieza Wilderness – the last primary forest on our continent. This is one of the most diverse and probably most famous national park in Poland. It admires with the nature almost untouched by human hand. In Bialowsieski National Park there is the biggest bison herd. Those animals are strictly protected. Bison is a symbol of the park. – Hitler’s Hideout – Wolf’s Liar was a Hitler’s headquarters on the Eastern Front, during World War II. It’s placed about 30 km away from Wegorzewo. Unsuccessful assassination of Hitler known from the movie “Valkiria” had place here. Visit in Wolf’s Liar is a real treat for fans of military and history of World War II. – One of the most interesting remains of the past in Masuria. Boyen Fortress is 19th century’s stronghold built in Gizycko at the shores of Niegocin and Kisajno lakes, in the northern part of Masuria. Stronghold of Boyen have never bee captured. Fortress is a very attractive monument as also place, where a lot of cultural events have place every year. – This is the biggest lake in Poland. 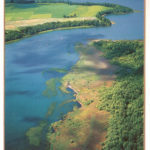 Entire region of Masuria often called the land of great lakes, contains over 4 thousand natural water reservoir. The largest one occupies surface of over 113 square kilometers. Among the lakes of Masuria we can find many idyllic villages which offer accommodation and beautiful corners ideal for relaxation away from the crowded cities. – Visit in Masuria is a great opportunity to see the place of famous Battle for Grunwald. It is especially attractive on 15 July, when the anniversary of battle is celebrated. Knights brotherhoods and medieval history lovers come here every year to take part in staging. It’s really unique experience, to be a witness of medieval battle and hear the clank of swords and shields.